Radley Village Shop Association Limited is a community co-operative. It is Registered Society under the Co-operative and Community Benefit Societies Act 2014 (registration number 30172R). The entitlement to vote is one vote per member. This is irrespective of the amount subscribed. There is a summary of the objectives and rules of the Radley Village Shop Association Ltd on the back of the membership application form. Become a member. 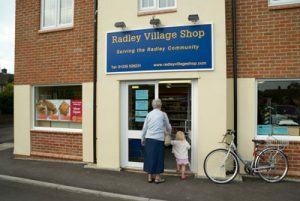 You can apply for membership of Radley Village Shop Association whether you live in the village or feel an association with the village through friends, the church, the school, Radley College or even the pub, or if you are just a Radley ‘well wisher’. Every penny raised helps to ensure the shop’s continued success. The Annual General Meeting of Radley Village Shop Association is held each year in May. Notices about the meeting are posted in the shop window, on the shop website, in the Radley News and on the village notice-board. Copies of the AGM minutes and the shop’s end of year accounts are available on request. 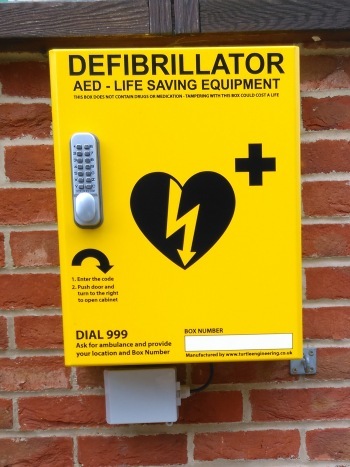 At the AGM in May 2015, members unanimously approved the committee’ proposal to pay for one of the three public access defibrillators to be installed in Radley by the Parish Council. 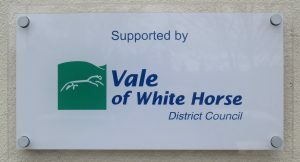 Radley Village Shop is very grateful to the Vale of the Whit e Horse District Council for the award of a Vale Capital Community Grant in 2014 of £4730 towards the cost of a major refurbishment project. This involved replacing the chillers with more energy efficient ones, a new purpose-built counter with integral storage for cigarette and tobacco products to meet new legislation, and the installation of a self-service hot drinks machine.